The IBC team has long been a provider of training and equipment to the rescue and military communities and continues to do so with pride today. Recently while waiting in a drive thru line I was listening to discussions on the radio of swift water rescue in some of the flooded hurricane areas. The reporter called out swift water rescue and defined it to another speaker during the exchange. Later that evening I again heard swift water rescue come op as a topic on the evening edition of the local news. More and more use of the term just seemed to be popping up all over the various media channels in this latest news cycle. Let’s face it the news is a business, and it’s their job to engage listeners, viewers, and social media users to sell ad space, but I took no umbrage as the term filtered into the common vocabulary as a benefit. Essentially it’s this, as weather events, and natural disasters make headlines and primetime broadcasts we’ll be seeing an increase of the use of the term. This makes me happy as a professional inflatable boat jock. Too many local governments wrongly assume that they will never encounter a flooding incident so they don’t incorporate or enact a plan to address it. Planning for the worst is much ado about nothing to government bean counters who think that rescue budgeting isn’t necessary. Tell that to the person who was rescued from dark cold water by a volunteer or outside agency. Yes weather events happen, and seemingly more frequently than ever before, and the one thing the government is always short of is mission capable boats and trained operators. Lessons learned from flooding events always surface as a lack of stable craft with little to no draft led to increased casualties. The “It won’t happen to me.” mentality is increasingly proven to be wrong and when things are at their toughest only the toughest will be able to get the job done. 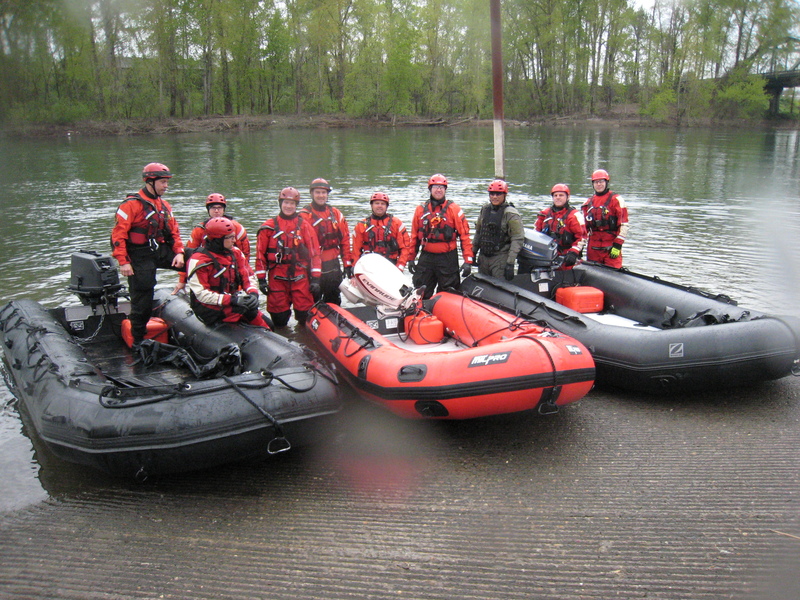 Most swift water rescue teams are only utilized when flooding is the plan of the day, and water likely isn’t swift in most areas unless topography is the dictating factor. This lack of foresight to low land communities with no rapid moving rivers stands in the way of budgeting for an inflatable rescue boat. Clearly as we can all see here in the US and abroad the truth tells a different story when unexpected rains fall. To me there is nothing more tragic than a preventable loss of life, or when what should have been a rescue mission turns out to be a recovery. 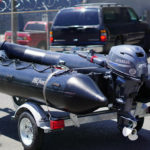 Compared to the costs of running a tin jon boat, (something rescuers know to be a hazard by the way), the cost of ownership and maintenance of an inflatable boat is much cheaper. 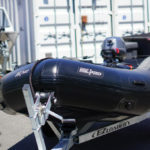 The inflatable boat carries more cargo weight or people, costs less to operate and goes into much shallower water without grounding, even when laden with tons of cargo. Personally I’ve been on just about every type of water craft available from submarines, to Zodiacs, to a hovercraft, landing craft, dive boats etc. 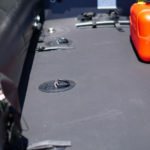 and the one boat that ticks the boxes off and saves more precious cargo is the Zodiac MILPRO inflatable boat. Whether you completed missions like me in the military or as a civilian, the Zodiac MILPRO has become ubiquitous in the rescue community. So why are we always in short supply when disaster hits? Ask your local government officials this question. 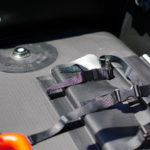 Too often the “Pros” are basing their whole mission load out off of their experience as a recreational fisherman in a tin or fiberglass boat, something that is woefully in adequate for the flooding mission or swift water mission profile. Try getting a big heavy tin boat launched into a flood zone where the gradient is varied and uncommon obstructions like fences and fire hydrants are the norm. 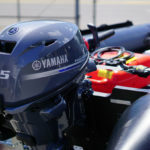 All of the fishing experience in the world goes out the window and operators begin to realize just how bad that ultra expensive tin rescue boat was. Costs not in dollars but in lives are what become the tangible data metric. Trust me that government bean counter isn’t getting his or her feet wet, rendering crucial first aid or delivering supplies to cut of populations. As we assimilate the term “Swift Water Rescue” into the common vocabulary we should be thinking on how those assets serve a bigger mission profile to save more lives. If your community is too small to field a proper swift water team in addition to their current department responsibilities take charge and hold a fund raising event to facilitate one. The life you save might be your own. To speak with one of our qualified professionals regarding your swift water or flood rescue needs simply pick up the phone and call (503)235-2628 don’t wait until it becomes a recovery mission. The Zodiac MILPRO ERB 380 Airfloor model provides the user with the ability to inflate and get underway in 3 minutes with a compressed air tank such as SCUBA or SCBA. 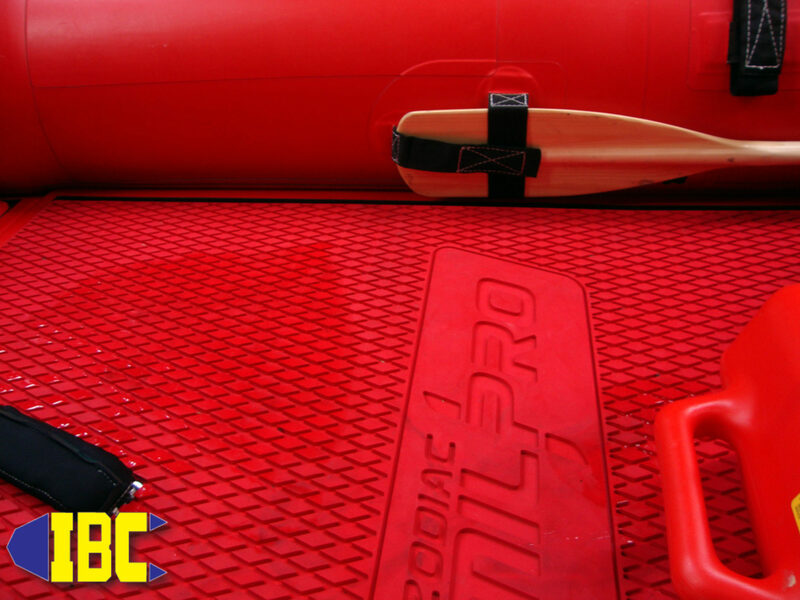 Originally designed for rapid inflation for rescue, law enforcement and military operations the Zodiac MILPRO ERB 380 Airfloor has been increasingly used as a stand alone boat for recreation or a tender for sailboats and yachts. 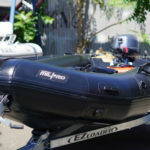 Ease of use and a Zodiac MILPRO pedigree mean more and more of these inflatable boats are seeing use at high latitudes and in the tropics for tenders and work boats. 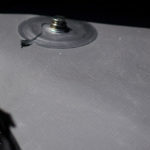 The ability to have a slat floor, a heavy duty aluminum floor or the rapid inflate airfloor mean this example meets the needs of the ever changing mission/use waterscape. 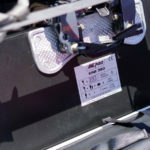 Ratings for up to a 25Hp propped outboard or a 30 Hp Durajet outboard, 6 persons or 1430Lbs. 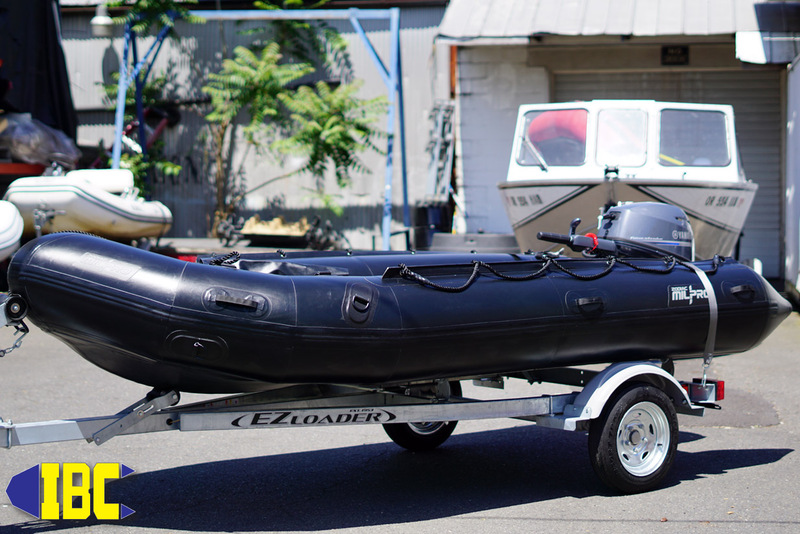 cargo mean this 12’6″ is a go anywhere and do anything boat. 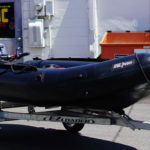 Zodiac MILPRO’s design, construction, and materials are legendary and singular in the field of inflatable boats representing the standard all others aspire to be. 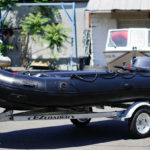 The Zodiac MILPRO ERB 380 is available at The Inflatable Boat Center (503)235-2628 or by clicking here.